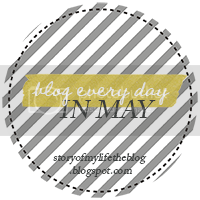 The blog everyday in May challenge prompt today is "most embarrassing moment (s). 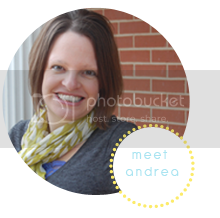 Spill" Every time I am asked what my most embarrassing moment is my thoughts take me back to the horrible year in high school when we moved to a small KS town and I had to go to a small private Christian school with kids that had been going to school together their entire life. It was the first week of sophomore year at a new school in a normal sized very small class (6 students to be exact). There was a shy girl who did not want to be there and this girl was me! It was math class, which did not help because I totally do NOT understand math. Well, in math class a pencil is required. I was prepared for class and had paper + pencil. Until that darn pencil rolled off my desk in the middle of class. This shy girl did not want to stand up in a class of 6 people I hardly knew to get her pencil that rolled a little too far out of reach. Instead I decided to reach over my desk and try to reach my pencil so I would not have attention drawn to me. As I was leaning over the side of the desk to grab the pencil, I leaned a little too far and the desk toppled over. Unfortunately, this means I also fell as the desk was falling. As you can imagine, class stopped and everyone made sure I was ok. I was fine and managed to get up (with my pencil!) but I was extremely embarrassed. What a great way to start a new school. I was so embarrassed and I'm sure beet red! Even with this embarrassing moment, I did eventually feel like I belonged at this small school. I even formed life long friendships + a lovely SIL from those years at the tiny high school in a small KS town. Aww man I'm sorry that happened. Especially right when you were new!